This class includes all the footage from both our Myofascial Release dvds. In this class you will learn basic anatomy & physiology of fascia, how to release the superficial fascia, skin rolling, scar release techniques, kinesthetic joint evaluation, leg and arm pulls, the location of the fascial lines, cross handed stretches, transverse diaphragm releases, postural analysis from the front, postural analysis from the side, how to release the rib cage and detailed techniques for the feet, hips, back, shoulder, neck, jaw and scalp. 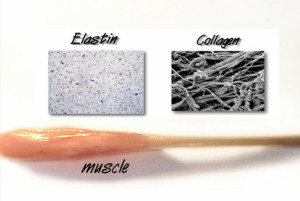 This lesson covers the anatomy of the fascia including ground substance, elastin and collagen. Learn how fascial lines interact in the body through tensegrity, plus the basics of myofascial release stretching and the ideas that guide the treatment. This lesson focuses on skin rolling and skin evaluation. It shows how to evaluate the skin in various directions and then how to apply myofascial release techniques to free that restriction. This lesson includes how to use myofascial release to free adhesions in scar tissue. This would be done after the scar is well healed. 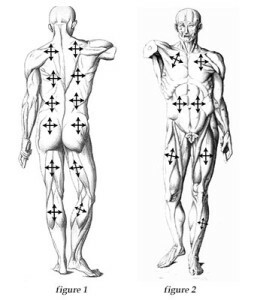 Learn to evaluate for restriction in the scar- and then how to apply the correct technique. This lesson shows how to perform an evaluation on the leg and arm using your sensitivity to feel into various levels of the tissue. With time you can pull the ankle, and from there feel into the knee, hip or higher. Once you can feel where the restriction is located, you can use a leg or arm pull to release it. This lesson shows how to apply the most basic myofascial release stroke to many parts of the body. Cross handed stretches are the most basic and common style of myofascial release performed. After watching and practicing this lesson, you will know how to apply this powerful technique where ever you find restriction. There are three transverse planes in the body- the thoracic, diaphragm and pelvic. This lesson shows how to use myofascial release techniques to release restriction in each area. This is subtle and powerful work. This lesson shows how to perform a postural evaluation with the client facing you. 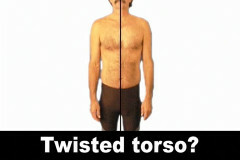 It includes how to evaluate the ankles, knees, hip, shoulder, and neck, as well rotations in the torso. Once you watch this lesson, you will start to see these dysfunctions in everyone! This lesson shows how to evaluate a client from the side. You will learn how to look at the position of the ankle, knee, hip, shoulder and neck. You will be able to spot the areas of restrictions. Multiple people with various dysfunctions are shown. This lesson shows how to evaluate the rib cage for pump handle, bucket handle, and caliper motion. Once you find the area of restriction, this lesson show techniques to increase motion in the rib cage. After evaluating for supination or pronation in the feet, this lesson shows how to use myofascial techniques to remove any restriction and return normal function. Also included is a section on plantar fascitis and achilles tendonitis. This lesson shows how to evaluate the hip position and use myofascial release to help move them towards balance. This includes techniques for a high hip, low hip, anterior rotated ilium, and posterior rotated ilium. It includes evaluation of the SI joint using the squish test, and myofascial release techniques for many types of back pain. This lesson covers myofascial release techniques for a forward shoulder, and a variety of other shoulder conditions. It also includes work on the elbow and wrist joints. This lesson shows how to evaluate for neck movement and shows myofascial release techniques to release and balance posture. This includes forward head position and rotations. Also included is evaluation of the TMJ and techniques to improve function.